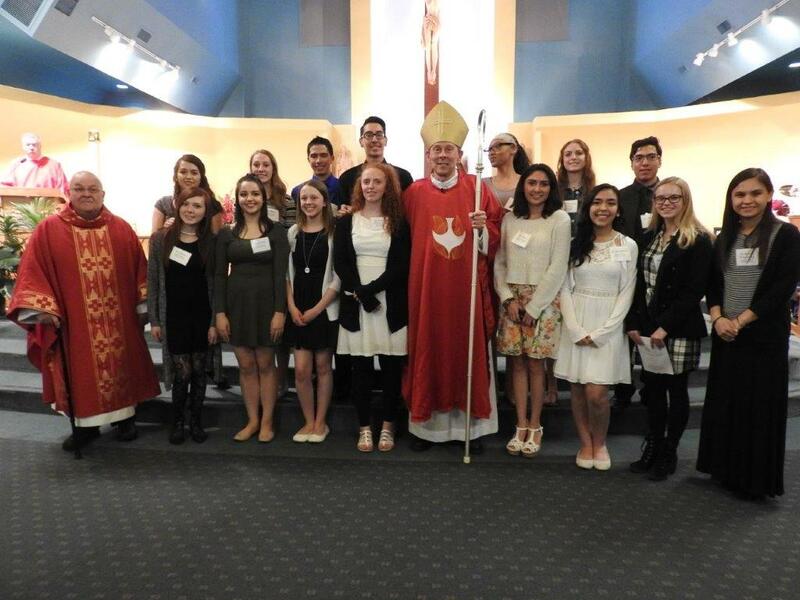 Congratulations to our Youth at Christ the King who were Confirmed at Our Lady of Mt. Carmel on April 2018. Confirmation formation will be woven into the regularly scheduled High School Discipleship Sunday night sessions. There will be retreats, youth fest, and off site events to participate in as well. 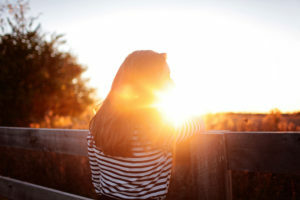 Confirmation is intimately connected to the Sacraments of Initiation– begun in Baptism and nourished with frequent reception of the Holy Eucharist. Formation for the Sacrament of Confirmation seeks to develop a sense of conversion and recognition that Confirmation not only strengthens the spiritual gifts, but an interaction within a community on the journey to everlasting life. Confirmation is about discipleship and mission — drawing persons into the life, work and mission of the Church. Show a willingness to commit to regular participation in the Sacraments (Eucharist- Mass and Confession) and have the intention and desire to receive the Sacrament. Participate in a variety of retreats, service experiences, and doctrinal formation. Parents along with Sponsors, are to be intimately involved in Confirmation formation. 6 Catholic Connection Sundays: Per Diocese Guidelines, all parents/guardians of children or teens preparing to receive a Sacrament are to attend special sessions for Sacramental Formation. The Parental Sacramental Formation Sessions for Confirmation will be held during Catholic Connection Sundays (mornings) from 9:30 a.m. – 10:30 a.m. on September 30th, October 28th, November 25th, January 27th, February 24th, and March 31st. Fall Overview Session: “Preparation during the Confirmation Year” —Understanding paperwork, guidance, etc. Sunday October 14th 2018 from 4:30 p.m. to 6:00 p.m. (evening) in Sr. Joan’s Room. Spring Overview Session: “Preparation for Confirmation Celebration” – Overview of Rite of Confirmation, and role of Sponsor (ideally Sponsor to attend this event). Sunday April 7th from 4:30 p.m. to 6:00 p.m. (evening) in Sr. Joan’s Room. What does formation of the Sacrament of Confirmation consist of? 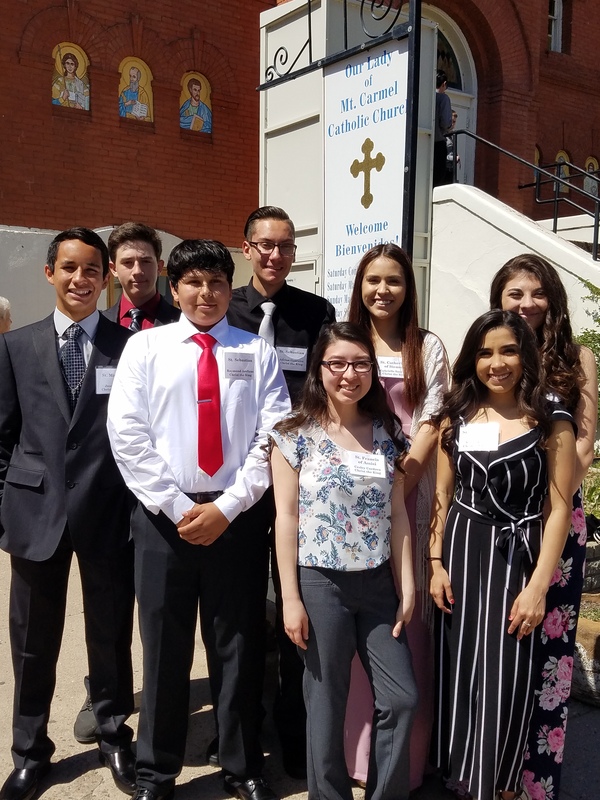 In the midst of High School Discipleship, youth are to participate in Mass, Sunday Discipleship, Retreats, Service experiences and Catholic faith formation. The Spring Retreat and Day Retreat (immediately before Confirmation) are both an especially important part of their formation experience. Youth will have the opportunity to learn more about their faith, walk and play with one another and experience a powerful weekend of growth in their Catholic Faith. There will be a cost and waiver associated with the Retreat. They will have the opportunity to enter into immediate Confirmation Preparation once they have participated in Discipleship for 2 years. Candidates should show a willingness to share regularly in the sacramental and prayer life of the Church. Parents, along with Sponsors, are to be intimately involved in the formation of Confirmation. Youth Ministers will be in conversation with each of the Candidates to ensure their desire and readiness. Please note that active and willing participation by growing in the faith is one of the requisites for Confirmation readiness. Please see the High School Discipleship tab for the most up to date information. The role of the sponsor is threefold: first to help the confirmands live the Catholic Christian lifestyle. Second to support parents in the life long faith of the confirmand, third, to be a role model of faith for the confirmand. Families and teens are encouraged to prayerfully consider who might best fit these goals to act as a Sponsor. Are they comfortable sharing their faith with me? Am I comfortable sharing with them? Is there founded hope that they will encourage me to walk the in the journey of the Catholic faith through the years? Do they meet the qualifications to act as a Sponsor? Click here for Confirmation Candidate Information Form and Tips for picking a Confirmation name.